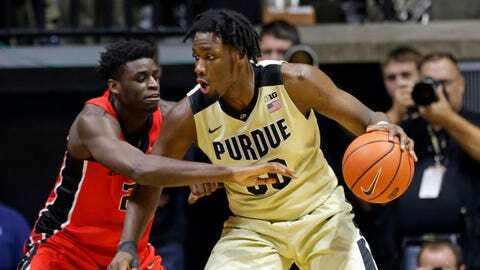 Caleb Swanigan added 12 points and 17 rebounds for the Boilermakers. WEST LAFAYETTE, Ind. — While power forward Caleb Swanigan grabs the majority of the attention with his 22 double-doubles during what has become a special sophomore season, No. 16 Purdue is at its best when 7-foot-2 junior center Isaac Haas is almost as — or more — productive. Haas had 24 points and 11 rebounds Tuesday night, and Swanigan added 12 points and 17 rebounds in the Boilermakers’ 74-55 victory over Rutgers. Purdue (21-5, 10-3 Big Ten) led 45-39 with just over 12:30 remaining, but from the 11:15 mark until he left the game with 2:20 to play, Haas scored 16 points, and the Boilermakers pulled away for their fourth consecutive victory. Nigel Johnson scored 23 points to lead Rutgers (13-14, 2-12), which had no answer for Purdue’s big men. Boilermakers coach Matt Painter got what he was looking for from Haas during the final 20 minutes. Thanks to 28 from Haas and Swanigan, Purdue outrebounded Rutgers 45-28. Purdue shot 47.5 percent to 35.9 for the Scarlet Knights. Purdue struggled with turnovers in the first half (8) and led 33-26 through 20 minutes when Johnson was 5 of 6 from the field, including 4 of 4 from 3-point range, for 14 points, but the Scarlet Knights missed a chance to pull closer when the rest of their roster was 5 of 22 from the field. 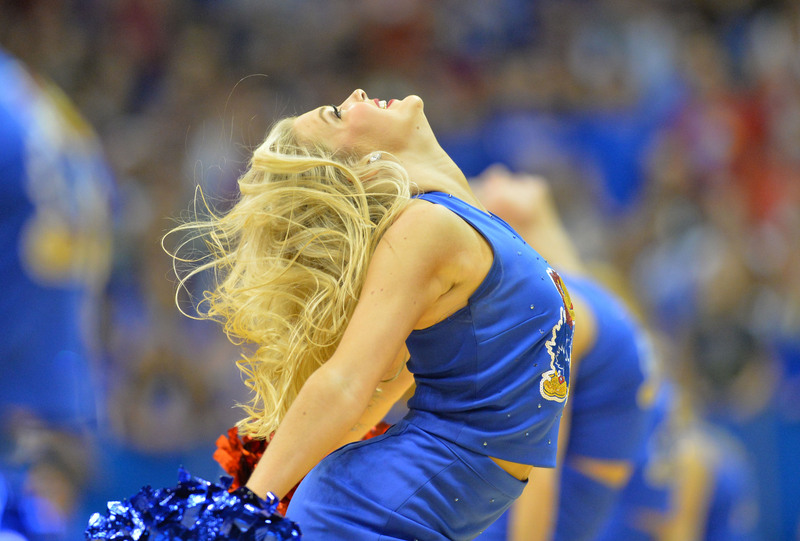 Haas had eight first-half points, and Dakota Mathias and Carsen Edwards each added six. The Boilermakers outrebounded the Scarlet Knights 23-10 in the first half. Rutgers: While Johnson and Corey Sanders comprise an impressive backcourt, the Scarlet Knights lack the frontcourt strength to compete with a physical team such as Purdue, which got 36 points and 28 rebounds from Haas and Swanigan. Purdue: The Boilermakers are 7-1 since a Jan. 12 loss at Iowa and continue to impress with a blend of interior and perimeter offense, plus great man-to-man defense when they need it. Having won four in a row and seven of eight, Purdue would be positioned to rise in the next poll if it can beat Michigan State on Saturday in Mackey Arena. Since losing on New Year’s Day to Minnesota in overtime in Mackey Arena, Purdue has beaten Wisconsin, Illinois, Penn State, Northwestern and Rutgers on Keady Court by an average margin of 19.8 points. Now 6-1 at home in Big Ten play, the Boilermakers have Michigan State on Saturday and Indiana on Feb. 28 left at home. Rutgers: The Scarlet Knights travel to Northwestern on Saturday.